Porvair Sciences, specialists in the manufacture of microplate products, serve Life Sciences, Biotechnology, R&D and Molecular Biology with microplate solutions for all applications, from sample preparation to high throughput screening via our global distributor network. Our range includes vacuum manifolds, sealers, evaporators and microtiter plates in all popular styles; deep well and shallow well storage plates, assay plates, luciferase reporter gene plates and liquid handling reagent reservoirs. We also provide custom microplate products for life science research. Our vacuum manifolds, essential for 96-well SPE sample preparation, are designed to work with most popular filter plates, including Waters, Millipore, Qiagen, Whatman, GE Healthcare, Varian, Biotage and, of course, Porvair. The project will integrate Porvair's innovative solid-state chromatin immunoprecipitation platform, Chromatrap® with Tianlong's expertise in automated robotic technologies and diagnostic multiplex PCR kits to develop innovative technologies in epigenetic characterisation for patient stratification in renowned precision medicine. Chromatrap, a leading developer of cutting-edge life science products, has launched an affordable, easy-to-use range of DNA kits for routine molecular biology applications. Porvair Sciences has introduced a new range of pierceable cap mats from sister company, JG Finneran Associates Inc.
Chromatrap has demonstrated that its unique solid state patented technology allows for ChIP-seq assays to be routinely performed from as little as 500ng of chromatin. The 96-well Supported Liquid Extraction (SLE) microplate from Porvair Sciences is designed for routine, high recovery extraction of analytes from biological fluids. Porvair Sciences reports that the National Center for Biological Sciences (NCBS) in Bangalore, India is using its Krystal 384 black microplate to produce a standard drug testing assay for Plasmodium vivax infection. Chromatrap announces that its popular Native ChIP kit is now fully compatible for mass spectrometry (MS) as a downstream process. Porvair Sciences new Glass Vial Deep-well plate is designed to ensure that absolutely no extractables or leachates are present in a withdrawn sample, thereby removing the risk of false peaks in sensitive uHPLC and MS applications. The new Glass Vial Deep-well plate from Porvair Sciences is designed to ensure that absolutely no extractables or leachates are present in a withdrawn sample, thereby removing the risk of false peaks in sensitive uHPLC and MS applications. Chromatrap® has introduced a new and improved version of it’s popular solid phase chromatin immunoprecipitation (ChIP) assay kit for chromatin extracted from Formalin Fixed Paraffin Embedded (FFPE) tissue. Porvair Sciences launched their new Seed Genomics microplate at the recent Plant & Animal Genomics 2017 conference in San Diego (USA) and received an enthusiastic response from the assembled scientists. Chromatrap® has published a new application note that demonstrates how its unique solid state patented technology provides unrivalled sensitivity allowing users to perform ChIP assays using as few as 1000 cells per immunoprecipitation. Chromatrap® reports on the excellent results achieved by customers using their 96 well high throughput plates for ultra-pure DNA purification. Porvair Sciences announces the introduction of Autocapper - a versatile electronic applicator that enables friction sample seals to be quickly and securely applied to both microplates and microtube racks. Chromatrap® offers an optimised unique buffer chemistry that provides the leading solution for the isolation of high quality and high yield chromatin. Porvair Sciences will showcase two important technical breakthroughs at PAG XXV in San Diego (USA) from January 14-18, 2017. Porvair Sciences announces a new range of 96-well (square and round) capmats made from 100% pure silicone that has been conditioned for low bleed and ease of needle penetration when used with autosamplers. The Chromatrap® Enzymatic Shearing Kit provides an excellent method for the preparation of high quality, ideally fragmented chromatin for ChIP analysis. Chromatrap® has published a comprehensive Applications Compendium that includes hints and tips to improve your Chromatin Immunoprecipitation (ChIP) experiments, increase the effectiveness of your ChIP-seq library preparation and brings together its latest application notes in one informative document. Porvair Sciences has confirmed that 2016 will see record sales of its Ultravap and Minivap ranges of blowdown evaporators to laboratories worldwide. Chromatrap® announces that seven further popular antibodies have been validated for use in chromatin immunoprecipitation (ChIP) assays by their UK-based research team. Chromatrap® reports on the advantages of using its Chromatin Immunoprecipitation Sequencing (ChIP-seq) assay kits for histone methylation applications. Proven in labs around the world, the Porvair Sciences Microlute SPE sample preparation system provides a fast, trouble-free alternative to cartridges for high productivity sample clean-up. Chromatrap is a pioneer in the development of solid-state filter-based technology that significantly enhances and accelerates the important epigenetic research tool of chromatin immunoprecipitation (ChIP). The Ultravap Levante from Porvair Sciences is a next generation nitrogen blowdown evaporator designed to meet the needs of the modern automated laboratory. Porvair Sciences range of high performance PCR plates are made from polypropylene for extra rigidity. Chromatrap reports on 3 further customer papers published in different prestigious peer reviewed journals, which cite how its proprietary solid state Chromatin Immunoprecipitation (ChIP) technology has enabled ground breaking research. Chromatrap® has announced a new 96-well high throughput purification plate for production of ultra-pure DNA. Following extensive customer research, Chromatrap® has re-designed its website to better serve the needs of end users. Porvair Sciences reports that a major Pharmaceutical company based in France has integrated its Ultravap Mistral blowdown evaporation system with a Hamilton Star robotic liquid handling system to enhance new drug candidate processing in its medicinal chemistry department. Porvair Sciences has announced it has chosen the ELRIG Symposium in Rennes, France (3-4th May 2016) to demonstrate its latest products that enable Lab Automation facilities to optimise sample preparation and improve productivity. Chromatrap announces that its high quality ChIP-validated antibodies can now be supplied with optimised matching primer sets. Using this out-of-box solution there is now no need to waste your valuable time searching databases and designing your own forward and reverse primers. Purchasing Chromatrap ChIP-validated antibodies with their matching high-quality primers, saves you time and gives you the confidence of using primers tested with the exact antibody and gene target with which you work. Krystal UV quartz bottomed microplates from Porvair Sciences Ltd. are designed for high throughput applications which require excitation or detection wavelengths in the far UV region below 350nm. 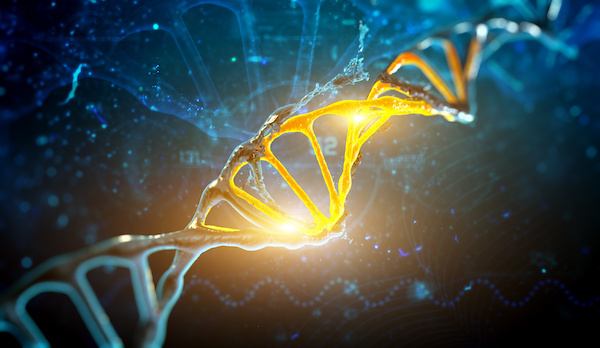 Chromatrap, a business unit of Porvair Sciences, announces a new patented protocol that is able to simply, quickly and efficiently enrich transcription factors from Native Chromatin. Porvair Sciences offer a range of sample evaporators and microplate products optimised for use in conjunction with LC/MS and LC/MS/MS instrumentation. Chromatrap®, a business unit of Porvair Sciences, has announced that it will be the Lead Sponsor at the prestigious “Epigenetics in Drug Discovery” conference to be held in Cambridge, UK from 26th-27th January 2016. Porvair Sciences has announced the MiniVap™ Gemini - an all new entry-level product designed to remove the solvent from two microplates simultaneously. Chromatrap, a business unit of Porvair Sciences Ltd, has announced the launch of its own range of Chromatin Immunoprecipitation (ChIP)-validated antibodies. Chromatrap®, a business unit of Porvair Sciences, has developed a new protocol that further extends the many advantages of its popular Chromatin Immunoprecipitation Sequencing (ChIP-seq) assay kits. Chromatrap®, a business unit of Porvair Sciences, has produced an informative new guide entitled ‘Top 10 Tips for ChIP-seq Library Preparation'. Correct assay plate selection is vital for successful research, whether you are performing absorbance, fluorescence or luminescence assays. Porvair Sciences offers a wide range of assay plates which are recognized as industry-leading tools for Pharma drug discovery and screening. The unique Krystal 2000 microplate range from Porvair Sciences has been optimised for luminescence and fluorescence assays. Chromatrap®, a business unit of Porvair Sciences, has produced a new 10-page brochure that provides an informative introduction to chromatin immunoprecipitation (ChIP) technology and a detailed comparison of traditional bead based and Chromatrap® solid state ChIP technologies. The Ultravap Levante™ is a new introduction to Porvair Sciences’ popular series of nitrogen blow-down sample concentrators and evaporators. Chromatrap®, a business unit of Porvair Sciences, has announced a new web page that brings together protocols developed using their proprietary solid state chromatin immunoprecipitation (ChIP) technology. Chromatrap®, a business unit of Porvair Sciences, has introduced a new Formaldehyde Fixed Paraffin-Embedded (FFPE) ChIP Kit which overcomes the widely acknowledged shortfalls of the technique. Porvair Sciences offers a range of products that enable optimised Solid Phase Extraction (SPE) of polar compounds. Chromatrap®, a business unit of Porvair Sciences, has announced a major product launch at the European Human Genetics Conference (Glasgow, UK) and the Festival of Genomics (Boston, USA) on the 6th June 2015 and 22nd-24th June 2015 respectively. Visitors to ACHEMA 2015 have been invited by Porvair Sciences to Stand F44 in Halle 4.2 to see their expansive range of application optimised microplates and microplate equipment. Porvair Sciences glass vial storage plate combines 96 borosilicate glass vials of 700µl into a rigid polypropylene carrier microplate to provide a superior product for storage and transportation applications. To ensure full compatibility with robotic systems, DNase / RNase- and pyrogen-free PCR plates from Porvair Sciences feature high rigidity to minimise distortion before and after thermal cycling. Produced in Class 10,000 clean room conditions – Porvair range of PCR plates are certified free of pyrogens as well as DNAse and RNAse enzyme activity enabling routine achievement of excellent PCR results. Porvair PCR plates are based upon a well design where the liquid meniscus comes below the plate surface eliminating sample carryover problems when using a plate lid. The MiniVap™ blowdown evaporator from Porvair Sciences takes just minutes to remove volatile organic solvents from your 96-well microplates. Chromatrap®, a business unit of Porvair Sciences, has an announced solid state ChIP kits which rapidly improve chromatin immunoprecipitation (ChIP) through a unique patented technology that streamlines the process, ensuring chromatin preparation to qPCR analysis can be performed in under five hours. Porvair Sciences low profile 96-well deep well plate achieves a storage volume of 1.1ml / well in a height of just 27 mm enabling more plates to be stacked or stored in a given space. Porvair Sciences has released a new 2015 catalogue that describes its popular range of high quality tissue culture treated plastics and consumable products for Epigenetics. The Development Microlute™ from Porvair Sciences is a Solid Phase Extraction (SPE) microplate which provides a wide assortment of phase chemistries and sorbent loadings in a single plate making it ideally suited for method development. An informative video interview with Professor Steve Conlan of the College of Medicine at Swansea University (UK) highlights the latest research developments in women’s reproductive health using unique molecular biology tools. Porvair Sciences 24-well deep well plates permit users to simply undertake multiple, high volume (10ml / well) experiments in a single unit maximising both productivity and operational flexibility. A new instructional video from Porvair Sciences explains exactly how to conduct a ChIP assay for epigenetic research starting from a confluent monolayer of human cells. Porvair Sciences has announced a new 5-layer cell culture flask developed to fulfil the need of the growing number of applications that require large numbers of cells. Chromatrap®, the novel solid-based matrix for chromatin immunoprecipitation (ChIP) assays, available from Porvair Sciences, has been successfully used to isolate high quality chromatin from difficult biopsy material. Porvair Sciences reports on positive commentary by researchers in published papers citing how using the fast, sensitive ChromaTrap™ Chromatin Immunoprecipitation (ChIP) technology has benefited their research. Porvair Sciences' has produced an informative new guide entitled ‘Top 10 tips for positive ChIP results’. Porvair Sciences has introduced new silicone cap mats for its range of 2ml deep well storage blocks. 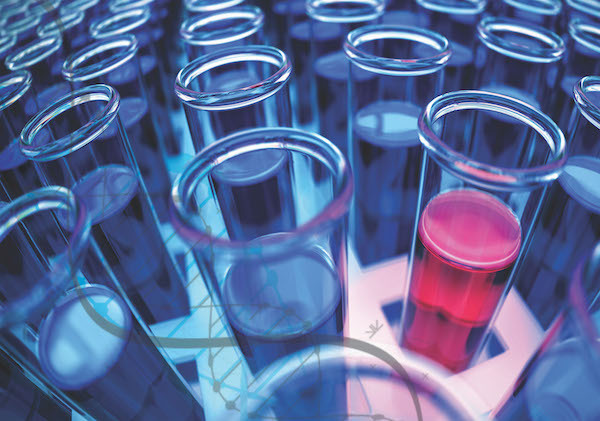 Porvair Sciences' product catalogue for 2013-2014 is packed with vital information on the company's wide range of microplates, plate sealers and microplate evaporators to help you get the best from your separations, assays and storage applications. Porvair Sciences has announced that it will be showing its latest specialist microplates and microplate equipment at the forthcoming Pittcon 2014 (Chicago), Analytica 2014 (Munich) and Genomics Research 2014 (San Francisco) exhibitions. Porvair Sciences has announced a new Chromatrap Enzymatic Shearing Kit that contains all the necessary reagents and buffers for up to 10 chromatin preparations. Porvair Sciences reports strong growing demand for their Chromatrap® chromatin immunoprecipitation (ChIP) assay technology from academic groups and biopharmaceutical organisations involved with epigenetic research. The MiniSeal II semi-automatic microplate sealer from Porvair Sciences comes complete with adapters enabling it to process deep well, shallow well, low profile deep well, filter and assay plates that conform to the ANSI / SLAS standard format. Porvair Sciences has announced new additions to its popular range of high quality tissue culture (TC) treated laboratory plasticware. Porvair Sciences has announced that it will officially launch Chromatrap®96 HT – an innovative 96-well chromatin immunoprecipitation (ChIP) assay plate at Epigenomics of Common Diseases (Wellcome Trust, Cambridge, UK) from 7th-10th November 2013. Porvair Sciences new generation Krystal™ glass bottom plates are precision manufactured using a proprietary process resulting in excellent light transmission and an ultra-flat optical plane (+/- 15µm) making them perfect for imaging growing cells. Porvair Sciences has developed the first 96-well round deep well plate that genuinely delivers 2.00 ml liquid capacity / well in an automation compatible SLAS / ANSI footprint. Porvair Sciences has launched a new online service providing organisations with easy access to next day delivery on competitively priced, high performance microplate thermal seals. For laboratories in the UK choosing to use the new service all microplate seals are also delivered free-of-charge. Porvair Sciences offers a range of high quality, large volume microplates (5ml, 7ml and 10ml) to meet the special requirements of storage / transport applications in combinatorial chemistry, environmental and food technology markets. Drawing upon Porvair’s market leading position in nitrogen blow down evaporation – the UltraVap Mistral offers a simple, turnkey solution for integrating an automatic dry downstep into your automated liquid handling protocol. The UltraVap Mistral is fully optimised to work with robotic liquid handling systems from suppliers including Beckman, Hamilton and Tecan and features a new “shuttle” design capable of serving and retrieving microplates to and from the robot deck without further need for off-deck handling. Porvair Sciences has announced a new version of its Chemical Compatibility Chart that provides an easy-touse reference guide detailing the chemical resistance of membranes and matrices used in microplates to a wide range of common laboratory chemicals. Porvair Sciences has announced the first North American edition* of its internationally trusted ‘Catalog of Microplates and Microplate Equipment’. Many scientists around the world have come to rely upon the Porvair Sciences catalog as a trusted source of information that enables them to choose the optimum microplate, microplate evaporator or sealer for their application. This new2013 edition brings together information on Porvair Sciences comprehensive microplate and microplate equipment product range that is available and supported by knowledgable local agents** through the USA and Canada. Reflecting Porvair's continuing commitment to continuous technological innovation, the North American catalog introduces a suite of exciting new products..
Porvair Sciences has announced an application note describing the excellent results achievable from a new 96-well format version of its ChromaTrap chromatin immunoprecipitation (ChIP) assay technology. To address performance limiting well-to-well crosstalk inherent in most assay plates – Porvair Sciences has developed the Krystal 2000 microplate range. Economic Approach to Protein Precipitation Sample Preparation Aug 17, 2012 The CombipackTM is Porvair Sciences economic response to the growing use of protein precipitation separation techniques in chromatography labs. Multi-Well Plates Ensure High Filtered Sample Integrity Jul 31, 2012 The need for reliable methods to purify samples and improve assays has led Porvair Sciences to develop a range of proprietary multi-well filtration microplates optimised for applications including cell harvesting, DNA separations, binding studies, plasmid isolation, general filtration and sample clean-up. New Serological Pipettes and Pipette Controllers Brochure Jun 14, 2012 Porvair Sciences has issued a new brochure detailing its range of serological pipettes and pipette controllers that form part of its increasing presence in the tissue culture plastic consumables market. Free Microplate-shaped USB Memory Stick Jun 21, 2011 We know that your laboratory works with microplates - but how do you save the data you generate from them? Porvair Sciences Ltd. is offering free-of-charge, for a limited time, attractive microplate-shaped 1GB USB memory sticks just for this purpose. Tell us the main application your lab uses microplates for and the memory stick is yours! Microplate Chemical Compatibility Reference Guide Feb 16, 2011 Porvair Sciences has announced a reference guide for scientists that details the chemical compatibility of materials used in microplates to a wide range of common laboratory chemicals. Downloadable direct from the Porvair Sciences website the easy-to-use reference guide describes the compatibility of different microplate matrices and membranes to a wide range of acids, alcohols, bases, esters, hydrocarbons, chlorinated hydrocarbons, ketones and other chemicals. Biomedical Researcher wins Microplate Catalogue prize draw Jan 31, 2011 A scientist at the Genomics CoreLab of the NIHR Biomedical Research Centre at Addenbrooke's Hospital (Cambridge, UK) has won Porvair Sciences' latest free prize draw for people registering online for the company's 2010-2011 Microplate Catalogue. Streamlining the Protein Precipitation Sample Preparation Technique Jan 25, 2011 The p3 microplate from Porvair Sciences Ltd. eliminates the mess and complex sample preparation (no centrifuging, no vortexing) traditionally associated with protein precipitation techniques. SPE Methods Development Made Easy Jan 16, 2011 Porvair Sciences has introduced a version of its popular MicroluteTM Solid Phase Extraction (SPE) microplate which provides a wide assortment of phase chemistries and sorbent loadings in a single plate making it ideally suited for method development. The mix of phase chemistries and sorbent loadings available in the Development MicroluteTM allows you to simply and rapidly screen for the optimal retention and selectivity required to achieve your sample preparation objectives. Porvair Sciences Announces International Sales Growth Dec 9, 2010 Porvair Sciences Ltd, an established specialist manufacturer of microplates and microplate products, has reported 9% growth in international sales for the fiscal year ending November 30th 2010. Oligo Manufacturer Standardizes On Ultravap for Sample Preparation Nov 22, 2010 Porvair Sciences Ltd. has announced that a leading manufacturer of ready-made oligonucleotides, with bases in both North America and Europe, has standardized on their UltravapTM Blowdown Station for careful drying of their production samples. New Manual Thermal Plate Sealer from Porvair Sciences Nov 12, 2010 Porvair Sciences has announced the MicroSeal - a new budget priced manual microplate heat sealer that offers great performance. Designed to meet the needs of low to medium throughput laboratories for microplate sealing the MicroSeal is compact and easy-to-use. An ergonomic pull down mechanism makes single action heat sealing of a wide range of plates quick and simple. Porvair Announces Low Profile 96-well Microplate Oct 25, 2010 Porvair Sciences Ltd, specialists in applications optimised microplates, has announced a low profile 96-well microplate designed to minimise the space required for compound storage. Eliminating the Difficulties In Handling Adhesive Sealing Films Sep 20, 2010 Porvair Sciences has announced MicroBurst - a revolutionary new microencapsulated clear sealing film for microplates. Low and High Binding Filtration Plates Aug 25, 2010 Drawing upon a selection of proprietary microfilters - Porvair Sciences has developed a comprehensive range of low and high binding plates with well volumes ranging from 350µl to 5ml to suit almost all filtration applications. Porvair Sciences Announces Q3 2010 Events Program Aug 17, 2010 Porvair Sciences Ltd has announced a comprehensive program of events it will attend over the next few months to launch its 2010 / 2011 Microplate Catalogue and introduce several new products. Glass Vial Storage Microplates Jul 20, 2010 Porvair Sciences has announced a new introduction to its range of storage microplates. For scenarios where chemical resistance and thermal stability is vital - the new Glass Vial Storage Plate offers 96 high quality glass vials in a 45mm high storage block - ideal for UHPLC and combinatorial chemistry applications. Porvair Sciences Announce 2010/2011 Microplate Catalogue Jul 9, 2010 Many scientists around the world have come to rely upon previous editions of the Microplate Catalogue from Porvair Sciences Ltd. as a primary source of information that enables them to choose the right assay, filter, storage or PCR plate. High Integrity Compound Storage Plate Jun 11, 2010 Manufactured from ultra-pure grade polypropylene under clean room conditions the 2ml square deep well microplate from Porvair Sciences Ltd. is the 96-well plate of choice for laboratories tasked with high integrity compound storage, fraction collection and SPE collection..
Heat Seals for PCR, Storage & Life Science Applications May 25, 2010 Porvair Sciences, specialists in microplate technology, has announced a new range of aluminium heat seals for PCR, storage and life science applications. Acrylic Manifold for Vacuum Separations May 13, 2010 Available from Porvair Sciences Ltd. the Acrylic Manifold has been designed to be fully compatible with all ANSI / SBS standard* compliant solid phase extraction, filtration, protein precipitation and collection plates. Maintaining the Integrity of Light Sensitive Samples Apr 21, 2010 Porvair Sciences has announced a black microplate and seal combination that eliminates sample degradation by exposure to light, even over long-term storage periods. Rapid Microplate Solvent Removal Apr 16, 2010 Incorporating advanced evaporator head technology and an innovative manifold design, which directly injects heated nitrogen into each well of a 96-well microplate simultaneously, the affordable MiniVapTM from Porvair Sciences takes just minutes to remove volatile organic solvents from your plate. Video Presentation Brings Microplate Sealer 'To Life' Apr 7, 2010 Porvair Sciences Ltd. has announced the launch of a new video presentation for its popular MiniSeal Plus microplate sealer. Online Video Presentations Bring Microplate Products 'To Life' Mar 30, 2010 Porvair Sciences Ltd. has announced the launch of a new suite of product presentation videos for its website. Located at www.porvair-sciences.com/videos.php the new product presentation video facility has been designed to offer a new level of useful information to anyone involved with using microplates or microplate technologies. Report On Extractables Testing In Deep Well Microplates Mar 28, 2010 A new technical report is available from Porvair Sciences Ltd. that investigates and demonstrates the importance of high quality raw material selection for the manufacture of deep well microplates. New Comprehensive Microplate Catalogue Mar 11, 2010 The Porvair Sciences Product Catalogue for 2010 is packed with vital information on the company's wide range of microplates, plate sealers and microplate evaporators to help you get the best from your separations, assays and storage applications. Reliable Easy-to-Use Microplate Sealer Feb 25, 2010 Porvair Sciences has announced that a new pdf download brochure is now available for its MiniSeal Plus thermal microplate sealer. Informative Report on Deep Well Microplate Sample Feb 18, 2010 A new technical report is available from Porvair Sciences Ltd. that investigates and demonstrates the importance of high quality raw material selection for the manufacture of deep well microplates. Sterile Shallow Well Plate Jan 21, 2010 Porvair Sciences Ltd. has announced a new sterile 96-well Shallow Polypropylene Plate that offers a capacity of just 150µL per well reducing reagent costs and round well bottoms to ensure good mixing. Partitioned Reagent Reservoir Helps Save Deck Space Jan 6, 2010 Porvair Sciences Ltd. has announced a new 4-row partitioned reservoir plate that enables aspiration of up to 4 reagents into a single well space thereby saving valuable deck space on your automated liquid handling system. 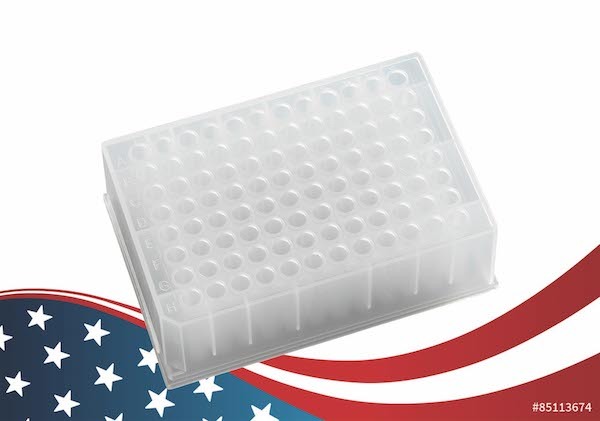 Affordable, high quality 2ml compound storage plate Dec 11, 2009 The 2ml square deep well microplate from Porvair Sciences Ltd. is the 96-well plate of choice for laboratories involved with compound storage. High Volume Microplate for Sensitive Photometric Assays Dec 8, 2009 With a well volume of 3.1ml the Krystal 24 from Porvair Science Ltd. is the microplate of choice for screening applications that require high sensitivity combined with photometric accuracy and repeatability. In addition the Krystal 24's large surface area per well makes the tissue culture treated version of the plate perfect for cell growth applications. Technical report compares well-to-well crosstalk in luminescence microplates Sep 24, 2009 Porvair Sciences Ltd. has announced a new technical report that evaluates well-to-well crosstalk in commercially available microplates used for luminescence measurements. Microplate Sealer Combines Ease-of-Use & Excellent Repeatability. Sep 24, 2009 Porvair Sciences has announced a new budget priced, semi-automatic thermal microplate sealer - the MiniSeal Plus.